Although both men and women have equal amounts of hair potential through their hair receptors or follicles, it is the male hormones that turn fine colourless hair (Vellus follicles) into thicker, longer and more pigmented hair types (Terminal follicles). Hair follicles have a growth cycle of around seven years and a follicle must go through its whole growth cycle to regenerate as one hair type or another, Vellus hair or Terminal hair. It is the level of male hormones (androgens) that determine the number of terminal follicles that produce facial, pubic and scalp hair which makes beards unique to men due to their androgen hormone production and thus make facial hair a secondary sexual characteristics. Historically beards have always played a part in human culture. At the origin, facial hair would have a practical aspect as it protects the face from wind, sun, rain and cold weather. Beards probably also served as an intimidating factor during conflict presenting a fiercer aspect to the enemy. As more advanced civilisations emerged there was no longer the same need for facial hair, and beards and moustaches at that point played a socio-cultural role and was in many cases reserved to the upper classes and nobility. In ancient times Phoenicians gave great attention to beard as seen in their sculptures, and the following Semitic civilizations of the Fertile Crescent (modern Lebanon) equally wore facial hair often bearing a strong resemblance to the Assyrians who used oils, tongs and curling irons to create elaborate patterns and styles (non-semitic Sumerians on the other hand shaved off their facial hair). Facial hair was also common among the the upper classes in Ancient Egypt where they often dyed their beards red and used interwoven threads of gold for even greater effect. Queens and kings wore a false hairpiece or ‘postiche’ as a sign of sovereignty (false metal beard) and Egyptian statues and wall paintings consistently depict men with long, well-groomed chin hair. Despite Asian men in some regions display sparse facial hair growth, shaving did not commonly occur there. In India beards were treated with great care and veneration as a symbol of dignity and of wisdom (the punishment for immorality was public removal of facial hair). China under Confucian doctrine held the human body as sacred and allowed alterations by cutting away either hair, fingernails or beards. In Persia, all Iranian kings had beards while the warriors often adorned their beards and moustaches with decoration such as jewellery. Ancient Greeks regarded the beard as a sign of virility and it was shaven only as a sign of mourning – a smooth face was regarded as a sign of effeminacy and Spartans punished ‘cowards’ by shaving away portions of their beards. Greek beards were frequently curled with tongs, and the upper lip often shaved. An exception to facial hair customs was introduced in neighbouring Macedonia by Alexander the Great in who found beards dangerous for his soldiers, offering enemies an easy grab in battle. Some historians now speculate Alexander the Great was simply unable to grow a long beard himself, and that these strict laws really just were made to protect his own ‘manliness’. Celts were most commonly portrayed with long hair and moustaches but never with beards. It was considered dishonourable for Gaelic men be without facial hair and in regions like Scotland and Ireland men mostly grew not only moustaches but also full beards. The Germanic tribes did not allow any of their young men to shave or cut their hair until an enemy was slain and the Lombards even derived their name from the length of their beards (Longobards aka Long Beards). Saxon king Otto the Great who defeated the Romans used to ‘swear by his beard’ that reputedly covered his entire chest. As the most advanced civilisation of the ancient world, the Romans mostly took great pride in being clean-shaven which also became a sign of being a true Roman and not Greek. Shaving was considered as the beginning of manhood, and the first shave celebrated as a festivity often coinciding with their first toga virilis, the ‘national costume’ of men in Ancient Rome. Long beards were regarded as primitive in Rome and accepted only in mourning. A notable exception to common shaving rules was the upper classes – especially the philosophers and Stoics who held beards as a sign of experience and wisdom. The middle ages are even more suspect of historical fabrication than the ancient world, and while little proof remain from this literally ‘dark’ period in Europe, most noblemen and knights were allegedly bearded to display their virility and honour – even resorting to duels for the offence of pulling on someone else’s beard. The Catholic clergy however were required to be clean-shaven as a symbol of their purity and celibacy. As a contrast to European full-beards at the time, pre-Islamic Arabia kept moustaches but shaved their chins. The prophet Muhammad later purportedly encouraged his followers to do the opposite to tradition thus signifying a break with the old religion – long chin hair but with a trimmed upper lip. The Renaissance marked significant changes in both society and customs, including facial hair which was now all the more elaborate along with numerous new clothing styles and fashions. From the wider practice of art and painting, this period also present more documentation and with detailed depictions and descriptions. While the 15th century (1400s) saw most European men clean-shaven, the 16th century (1500s) allowed beards of amazing lengths as witnessed through paintings – the styles were many and varied such as Spanish spade beard, English square cut beard, forked beard, stiletto beard.. In the UK however, King Henry VIII (himself bearded) introduced a socially graduated beard-tax in 1535, which made beards truly Elitist and harder to wear for the common classes (facial hair exceeding two weeks were eligible for taxation). At the beginning of the 17th century the size of beards decreased in urban areas of Western Europe and men slowly moved towards clean shaven appearances towards the end of the 1600s. In Russia, Peter the Great ordered common men to shave off their beards and followed up his threats with a tax on beards in in 1705 forcing the Russian society in line with contemporary Western trends elsewhere in Europe. Bearded men were required to carry a “beard token” in form of a taxed coin engraved with the Russian Royal Eagle with a partial face intertwined, depicting the nose, mouth, whiskers and a beard. Men in the early nineteenth century (1800s) were mostly clean-shaven before a dramatic shift in customs occurred in the 1850s when beards became rapidly more popular, probably as a result of early photography and other technological advancements. Beards were adopted by Monarchs, leading statesmen and venerated cultural figures in Russia, France and Germany – a practice that soon spread to the rest of the western world. The post-Civil War American presidents were all sporting beards and moustaches, whereas before Abraham Lincoln no President ever wore any facial hair (as seen in paintings). By the early twentieth century (1900s), beards started a slow decline in popular culture heavily influenced by the advent of the two World Wars (1914 & 1939) that favoured clean shaved customs as soldiers were not allowed much facial hair and rather encouraged (sometimes obliged) to shave. The movie industry became increasingly influential in the interwar period and portrayed their heroes with clean-shaven faces and short cut hair, possibly as a direct consequence of Americas involvement in the wars and consequent intelligence service influence. Shaving also by now represented a sizeable industry with economic interests slowly becoming more influential. As a combined result of societal events, news media and diverse economic incentive, beards became rare and mostly worn by older men, sailors, eccentric figures, religious communities and old-fashioned academic members. The long absence of beards following the military influence of two extenuating wars was finally challenged by the counterculture of the 1950s Beatniks followed by the 1960s Hippie movement. In the footsteps of the Vietnam War, beards once again exploded in popularity and were worn by hippies and businessmen alike. This new-gained popularity for facial hair was boosted through popular culture and media such as film and music with pop musicians like The Beatles all adopting full beards. In the 1970s beards remained trendy and also adopted by the proponents of personal computing, most famously incarnated by the young Steve Jobs of Apple. The trend of seemingly ubiquitous beards in popular culture subsided into the mid-1980s when Tom Selleck popularized the ‘chevron’ moustache and gay fashion and lifestyle became more widespread. In the 1990s short designer stubble was a popular trend overall and the goatee (Van Dyke) beard made its reemergence together with popular music idols such as grunge rocker Kurt Cobain of Nirvana. In the early 2000s goatee’s became neatly clipped Verdi beards (exemple) that slowly grew into closely cropped full beards undercut on the throat. The full beard was on the rise with the new ‘hipster’ culture was later joined by the advent of the ‘urban lumberjack’ fashion of 2010. Beards were once again a ‘big’ thing. The ‘lumbersexual‘ trend came as a natural response to fading effeminate metrosexuals, borrowing cues and styles from trademark lumberjack male appearence and demeanour – of which the full-grown beard would be the most archetypal trait. Even today we still appear to live in the days of the beard, where masculinity is exemplified by beards and hairstyles that once were commonplace but now has become overly groomed and stylised. The slick looking modern lumberjack with high-tech communication devices abound seem quite unfit for any heavy lifting and appear an overly cultured product created not so much for the woods as for the urban jungle and media overload. The hidden hand behind culture creation seemingly never rest, and we must look behind todays propagated youths shallow beliefs of genuity to understand what forces were set in motion in order to create the current fashion hype around the oiled and groomed full beards walking the streets of today as ‘naturally’ as if just out from the forest after yet another day of chopping wood. It would be unreasonable to accuse todays hipsters and lumbersexuals to be the only ignorant victims of culture creation – we all are. Our ideas and identities are all carefully crafted and honed according to the plans made for us by our shepherd aspiring Elites, maybe more baldly now than ever before, but not necessarily.. The male grooming industry is the true beneficiary of the growing number of men that now find themselves in need of beard growther oils, beard washes and rinses, beard balms, brushes, combs, beard trimmers, beard cutting templates, beard vitamins, hair growth nutrition and expert exercise programs. 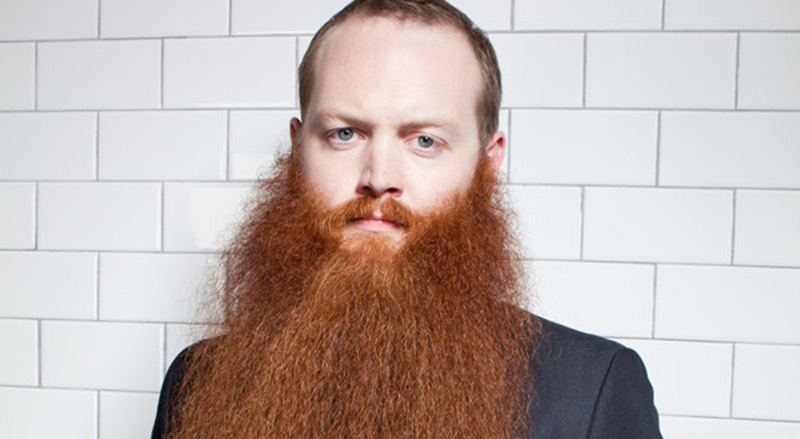 To create interest around beards is therefore of strategic importance to the wellness industry, and it seems no accident that the ‘World Beard and Moustache Championships’ was established in 2004 by British actor, humorist and performer Michael Attree – a prominent activist within the ‘Chap movement’ comprised of devotees of eccentric dandyism fighting for the right to wear hair. 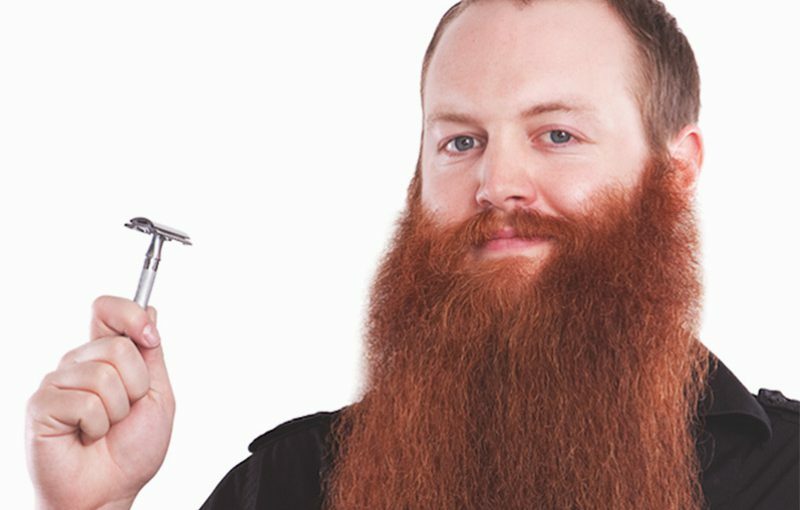 The first american Beard World Champion was a young ‘chap’ named Jack Passion who in 2007 surprised the world of facial hair during the World Beard Championship in Brighton (UK) by winning 1st Place for Full Beard Natural in his debut competition. Sporting a long thick beard he fittingly named ‘Big Red’, Jack has committed to complete devotion to his beard thus making him a natural winner and the first ever Professional Beardsman as of 2011 with his TV series “Whisker Wars” in production and the 2009 milestone book ‘The Facial Hair Handbook’ in selling well. John Giles aka Jack Passion has since the 2012 National Championship in Las Vegas put his ‘Big Red’ beard somewhat behind and today live a full, but quiet life in Los Angeles. Passion has retired from professional beard competitions and trimmed his beard back to a conventional unremarkable length. It might be debated whether John Giles really should be on record as the first professional beardsman in history ever, but his commercial success and public image sure has been well orchestrated and professionally managed. The first professionally skilled beard-impersonators might in reality have lived as far back as Ancient Egypt where red beards were equally favoured and even the true reason why LumberJack Passion went with red even as it clearly differs from his timid natural effeminate hair-growth. Seen in context there is little doubt that Jack Passion’s beard constitute but a part of his scripted persona as the first American Full Beard World Champion. When we consider that everything Jack say, do and wear is carefully staged and put together in order to create the illusion of a hairy Lumberjack Joe, it suddenly becomes clear this is not really about the ‘Big Red’ beard. The beard is merely the water that help swallowing the golden pill inherited from his Egyptian foremothers – and as Fake as any beard ever was among the Elite and their human hair lacing freemason culture creators. •Typical female headshape, thin sandcolored hair, feminine forehead, no browbone, weak blond eyebrows, close facial features – close set eyes, short nose, short mouth – and unnatural big fluffy fake red beard.